OK, so I had a hard time narrowing this down because 2013 was a big year of discovery for me, in terms of beauty and makeup. 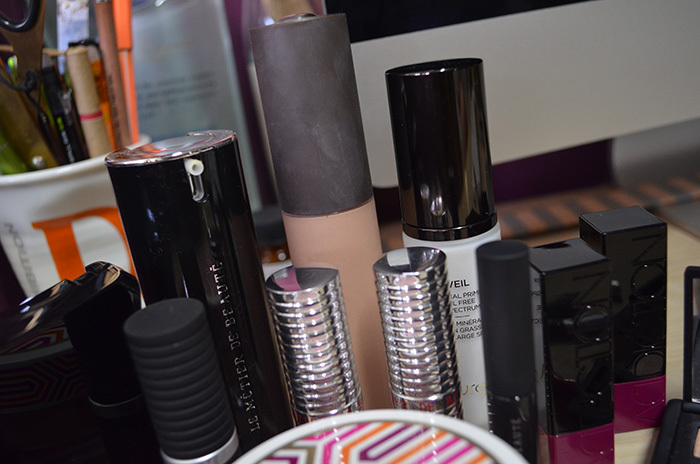 However, I really had to pick through and determine which products made a big impact on me and my makeup life. Here goes! Addiction Cheek Sticks: some of my best discoveries from my Japan trip! 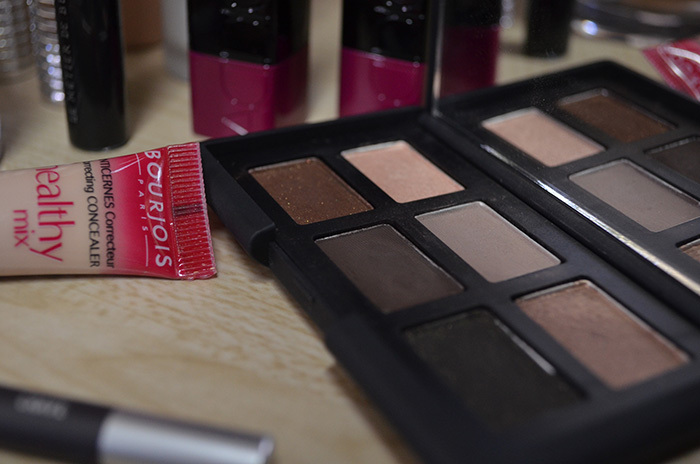 I have 4 shades, but my favorites are Tea Rose and Revenge. They are such a great formula, sort of like cream blushes in a traditional lipstick form. The formula is a little varied, though, for a multi-purpose product. Some shades don’t work out since they can be drying. Other shades are Suspicious and African Sunset. Le Métier de Beauté Anamorphic Lash Mascara: Sarie got this for me as a GWP. It’s lightweight and gives the most natural definition and just a tiny bit of volume. I love it because it is cruelty-free, holds a curl, gives a bit of definition, and is easy to take off. Read the review here. 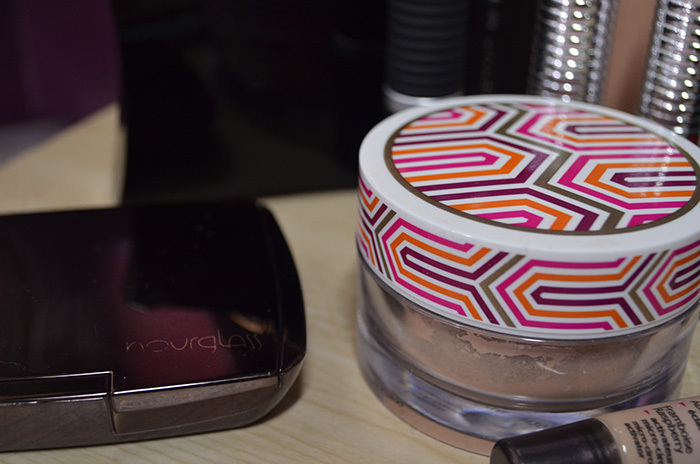 Hourglass Veil Mineral Primer: I love this primer! It is my favorite primer so far, and I have quite a few. It leaves a great, smooth base and keeps the oils at bay. Read my review here. BECCA Shimmering Skin Perfector in Opal: This is a cult product, loved by the cult of Lisa Eldridge, but with good reason. It gives a lovely glow to the skin and has a lot of purposes and can be used in many ways. Read my review here. Le Métier de Beauté Peau Vierge Dark Spot Corrector: Probably the best skin care item I’ve ever used! This made such a difference on my skin, even with just the first use. Read my first impressions post here. Le Métier de Beauté Hydra-Crème Lipsticks: This is the new formula of LMdB lipsticks, and I have 3 shades so far. I love them all. They are ultra-creamy and lovely on the lips. They have a great shade range, too—16 colors for a new formula! Unbelievable. Read my review here. Illamasqua Blusher Duo in Lover/Hussy: One of my best blush purchases this year. Beautiful shades, excellent pigmentation. Read my review here. 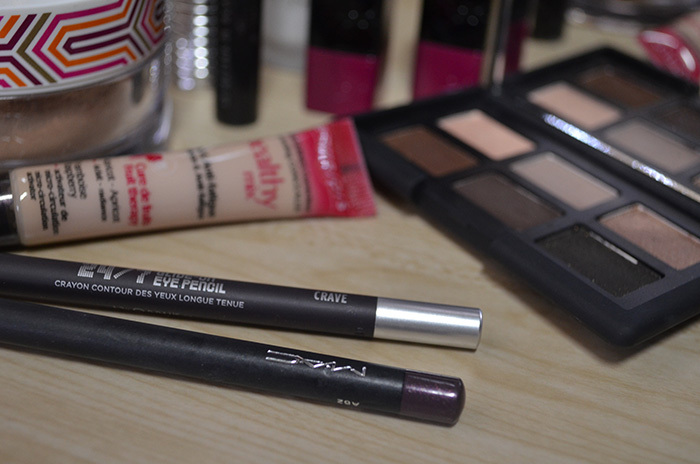 MAC Eye Kohl: I love these smudge-y pencils for subtle definition. I have two shades, Teddy and Prunella. Swatches here. bareMinerals Original Loose Foundation in Medium Beige: Probably my holy grail face product right now. It’s a little harder to apply then Ellana Minerals’ foundation, but I love the finish on this a whole lot. Read my review here. Hourglass Ambient Lighting Powder: Y’all know how much I love these finishing powders! I got the palette from my brother for Christmas. They’re just overall beautiful, and my favorite shade is Mood Light. Read my review here. Bourjois Healthy Mix Correcting Concealer: This is my favorite concealer so far. It’s a great texture, but I need to set it with a powder because it doesn’t stay on very long. Read my review here. NARS And God Created the Woman Palette: This is a beautiful palette of neutral eyeshadows, in a small compact size. I love this for everyday use and travel, and I love that the shades are available permanently, in case I form an attachment to them. Read my review here. And that’s it! 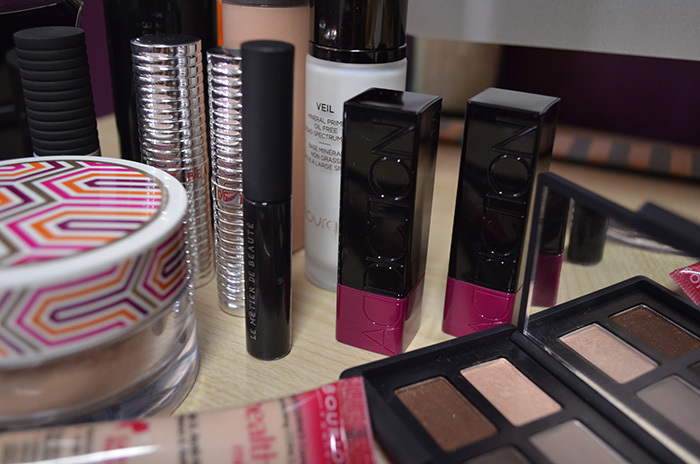 My 13 favorite products of 2013. 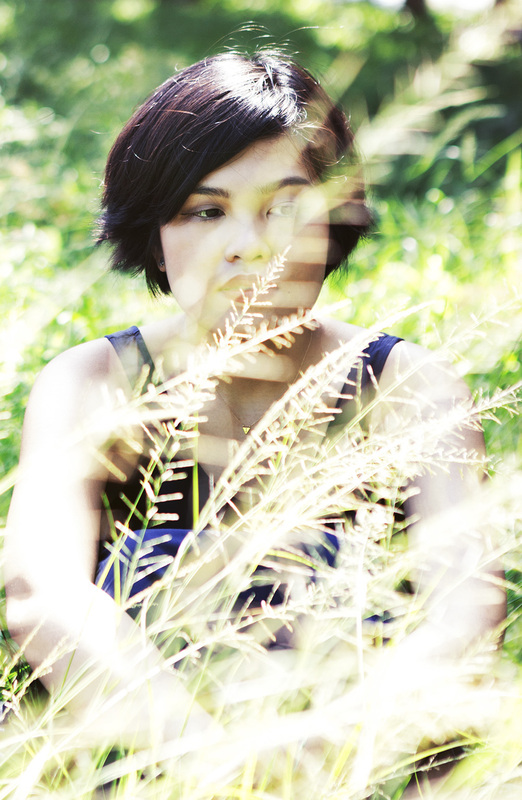 I really had a hard time figuring out whittling down my long, long list. I wanted to include runner-up products, but what would be the point of making this list in the first place? I hope you all had a happy new year! Here’s to 2014. Happy new year! I’m looking forward to getting some of the Addiction cheek sticks in Japan this year, plus I may have to hunt for that Nars palette. 😀 they look really pretty! Happy new year! 🙂 They are great products. yay fun stuff! happy new year!